For the next year CIK-FIA has some important news such as the C-Junior Under 13 license and the abolition of prefinal races. Nowadays is still not official, but rumors confirm that from 2017 12 year-old drivers can race in the OK Junior class thanks to the implementation of another step of the C license: the Under 13. An important decision with the precise aim to increase the participation to the OK class, in which driver can race from age 14 with the Under 15 license. With this change, drivers can gain experience in OK before stepping into car racing. On the other hand, to pass to 125 shifter class they need to be 15 year-old and to have C-Senior license. Also the D license will change passing from 13 year-old to 12 year-old. A move that outlines the intent from the CIK-FIA to homologate the Mini category internationally. In the last FIA World Council in Mexico at the beginning of the year, the proposal didn’t pass because Mexican, Spanish and German delegates voted contrary. So everything is postponed to the next council. 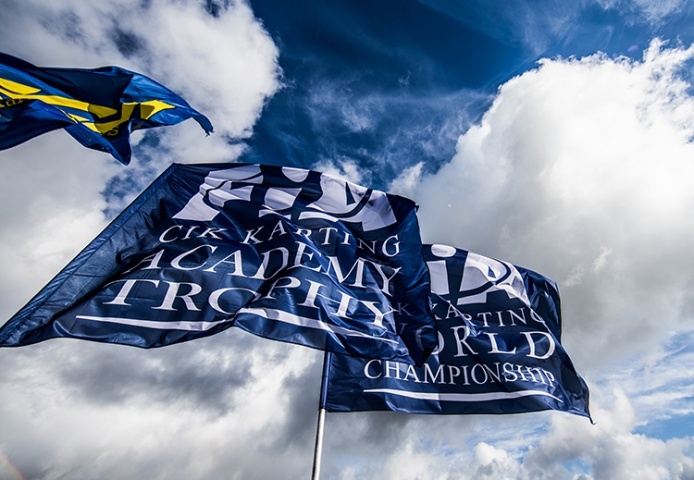 The two prefinals format used during CIK-FIA events didn’t satisfy expectation. Moreover it could be penalising for those drivers who have an accident before the final race (and it’s happened…) that means being excluded from the final even if they are top drivers. For this reason CIK-FIA and his promoter WSK Promotions are thinking to let them race only heats to define the 34 finalists. Championship points will be assigned also in qualifiers. A solution which should allow a less stressful event for drivers and team, but also for spectators, even more when there are 4 categories on the same day.